Home Features Download Buy Now! Watch animated demos of how LinkyCat works. Do you have questions about LinkyCat? See the Frequently Asked Questions section where you will find typical questions from users. 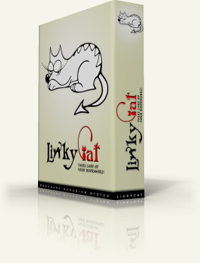 If you have a question, please contact the LinkyCat support service using a special form.